BMW drivers can now unlock extra performance in under 10 minutes with a new engine tuning app. 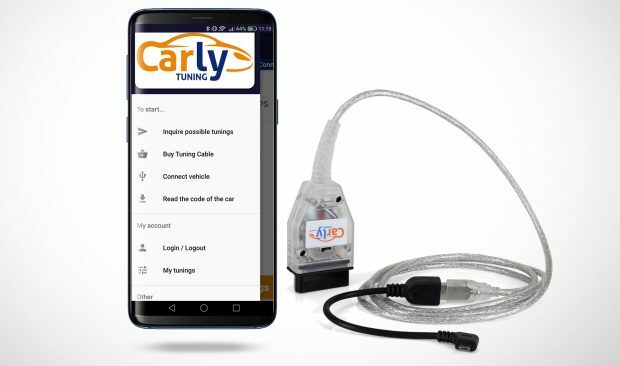 Carly – Connected Car, a world market leader in mobile vehicle electronics, has unveiled its first Android app for motorists to change their vehicle engine mapping by phone. Available initially for BMW diesel models, including certain 1,3,5,6,7 and X models, the app has been comprehensively trialled with over 500,000km of driving in the real world. Results from Carly’s own testing have shown improvements in acceleration; reducing 0-60 mph times by up to 25 per cent alongside gains in mid-range acceleration to increase responsiveness, offering a helpful boost for overtaking. “In the past, if you wanted extra performance it meant a trip to a garage and a time-consuming process to get any improvement,” says Avid Avini, Carly’s co-founder. “Now, with a phone and our adapter, you can do it all in less than ten minutes. It’s simple, reversible and a very cost-effective route to more performance. We’ve also proven the reliability; having driven over 210,000km in one of our own cars with a combined testing total that tops half a million kilometres.” Initially available for BMW models built between 2003 and 2009, including E8X 1 Series, E9X 3 Series, E6X 5, 6 and 7 Series. BMW’s X5 and X6 (E7X models are also catered for), Carly is working on developing versions for other vehicle brands. Owners can confirm compatibility via a button within the free of charge Carly Tuning app. Prices start from approx. £145 including a specific wire and diagnostics connector that plugs into the On Board Diagnostic port. As well as uploading a higher performance engine tuning map Carly’s easy-to-use app offers additional paid for options such as disabling the maximum speed limiter and exhaust gas recirculation. Fully-secure, the app is reversible and unlike traditional remaps, it can be uploaded and restored to standard configuration at any time. This makes it easy to revert the car back to standard at any time but also makes it ideal for those wanting to have different maps; for example, a performance configuration for track days and then return to standard settings for road use.